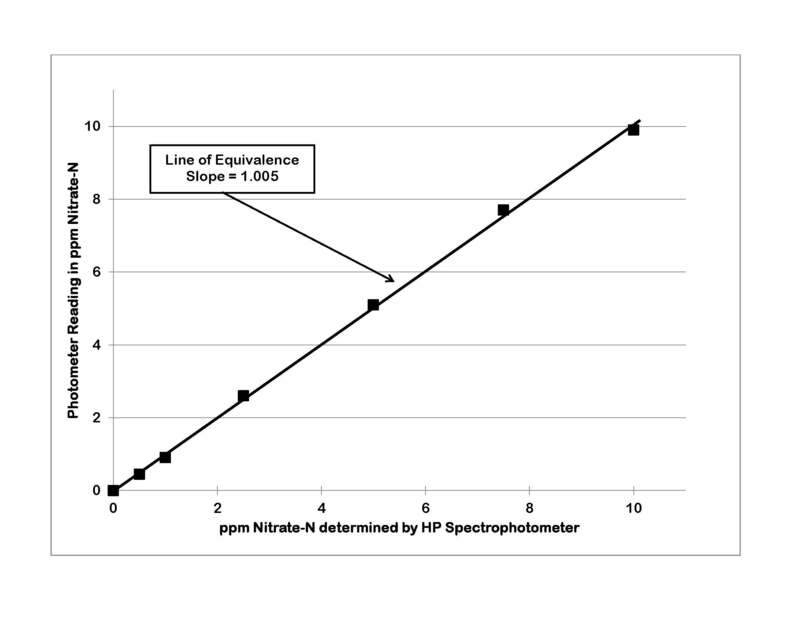 NECi's handheld photometer is optimized for use with enzyme-based on-site test kits for nitrate and phosphate. No other commercially available photometer would accept standard, square cuvettes that are used in precise laboratory analysis and in our own simplified on-site test kits, so we made our own. The National Science Foundation funded the development of an open-source version of this technology which was published in PLOS One in conjunction with Dr. Pearce's team at Michigan Technological University. Since the publication, our team has fine-tuned this technology for easy nitrate and phosphate analysis in the field using a mobile application for Android devices, which tracks and stores the data. Heavy emphasis on the design of the internal hardware was stressed rather than the case design, making this device affordable and widely accessible for anyone to use. The real technology is in the enzymes - they do the work providing accurate, reliable, usable data. 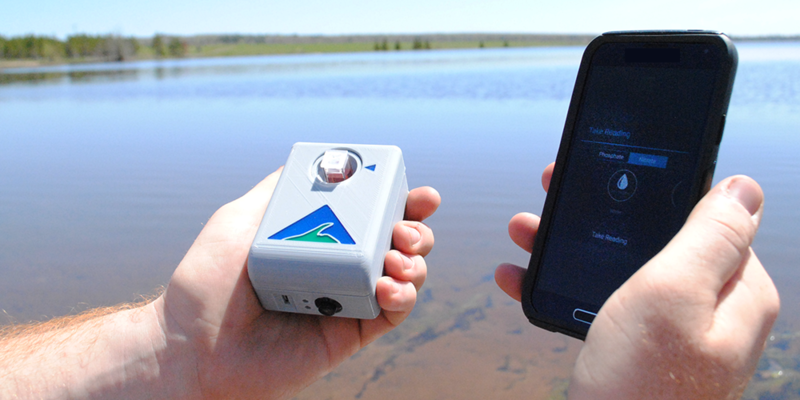 The handheld photometer simply provides a digital readout of results on mobile Android devices. 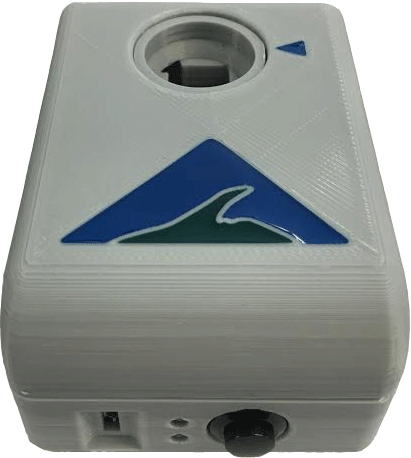 The 3-D printed case made from renewable PLA coupled with green analytical chemistry enzyme reagents makes nitrate and phosphate analysis the greenest on the market. These photometers are based off of real laboratory spectrophotometer technology, scaled down to a handheld size. Using with NECi's enzyme-based on-site test kits provides accurate data anywhere. No expensive equipment, trained operator, laboratory space, or operating expenses required. This device provides on-the-go accurate, reliable data. It fits in the palm of your hand and operates with a rechargeable lithium ion battery through standard USB ports. This device accepts standard 1 mL reaction cuvettes that are used for laboratory analysis. Small sample volume means less waste, lower reagent costs, and accurate measurement with the flat sided cuvettes. Automatically track when and where samples are collected by simply turning this option on in the app settings. This data is stored in sample lists, ready upon export.